After fighting for their country in the Army, friends Chris "Northy" Nelson (Chris Bell) and Johnny "Southy" Mead (Alan Lund) return to South London only to find their home town has changed beyond recognition. With no jobs the two join local gangs, work their way to the top and b... read full description below. After fighting for their country in the Army, friends Chris "Northy" Nelson (Chris Bell) and Johnny "Southy" Mead (Alan Lund) return to South London only to find their home town has changed beyond recognition. 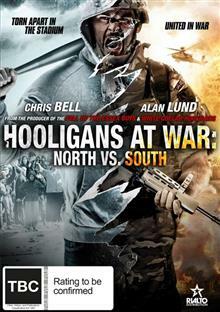 With no jobs the two join local gangs, work their way to the top and become feared hooligan bosses. The only thing that can top war, and threaten friendships, is money and power, but who will stand their ground and come out on top in the violent and bloody battle between North and South?